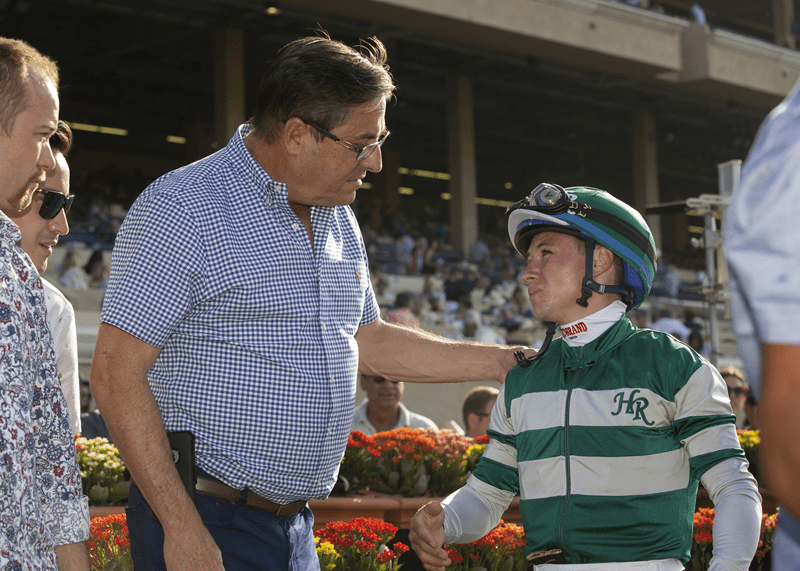 John Sadler is not openly offended or even noticeably miffed when gently reminded he has never won a Breeders' Cup race from 41 starters during an otherwise stellar career that began four decades ago. He deals with the issue straight on, and is optimistic the drought might very well end two weeks hence. The 52-year-old Long Beach native could terminate that shabby streak with one or more of four scheduled starters in the championship events at Churchill Downs, two of them favored early on, Accelerate in the Classic on Nov. 3 and Catalina Cruiser in the Dirt Mile the same day. Asked if he feels more confident about the latter two winning than perhaps any of his previous runners, Sadler said, “I think so. They're going to be shorter prices, and I like that, so we're feeling very good about it. Sadler has his riders set, with Joel Rosario on Accelerate, Drayden Van Dyke aboard Catalina Cruiser and Catapult (Dirt Mile), and Tyler Baze on Selcourt (Filly & Mare Sprint). This entry was posted in Breeders' Cup and tagged accelerate, Breeders' Cup, breeders' cup classic, breeders' cup dirt mile, catalina cruiser, drayden van dyke, joel rosario, john sadler, santa anita by Ed Golden/Santa Anita. Bookmark the permalink.